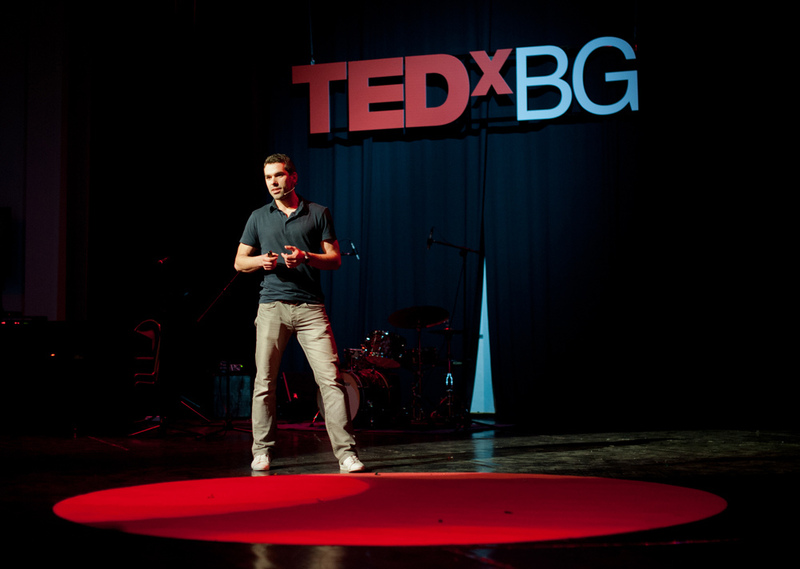 Coworking started to gain intertia and our team was invited to speak on TEDxBG and present a couple of stories which origin in coworking spaces of the betahaus | network. 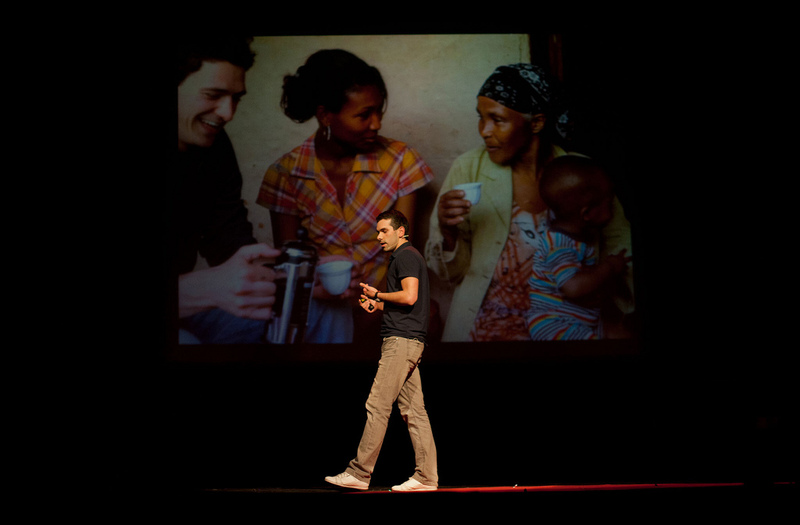 The category of events can not start with something else than the appearance on TEDxBG. betahaus | sofia was invited to present “coworking” as a phenomenon and its effects on people through real-life stories. My appearance was a rather lucky coincidence. We decided with my co-founder that he is going to take the opportunity and hold the talk on behalf of our team. Unfortunately on the night of the rehearsals there was a rather disturbing feedback from the organisators. He likes being really well prepared before going on stage and there wasn’t much time left to do that. That’s when we decided to switch places. I wasn’t afraid to fail completely and could improvise a bit better. We deleted the old presentation and did a brainstorming session in a nice cafe at about 11pm the night before the event. Coworking is a rather complex concept and its formation is due to the rise of workforce mobility, self-employment rates, collaborative consumption and other social phenomena. It is of course all led by the digital revolution with the Y-generation in the main role. As our feedback was just to provide real-life evidence of the effects of coworking we decided to focus on Openness, Community and Collaboration and tell their effects through stories we witnessed ourselves. All slides contained only photographic material and ten words altogether. The presentation ended with a map of coworking spaces which had a huge gaping hole south of Hungary and north of Turkey, with the goal of leaving the topic open for further discussion. The night was quite intense. I wrote and studied my text until the early morning hours. Despite clearly not having enough sleep the adrenaline kept my mind clear for the presentation. Microphone was set, the moderator announced the next speaker and off I went to the stage nervous as a little kid. I quickly found out the lights blinded off all of the background limiting the visual elements to just the stage, myself and the remote control. Afterwards the polite people told me It was really good and all honest ones that It was ok. I knew I was too serious, as usual. I am still working on that. Now I have a video which I can learn from for the next presentation. 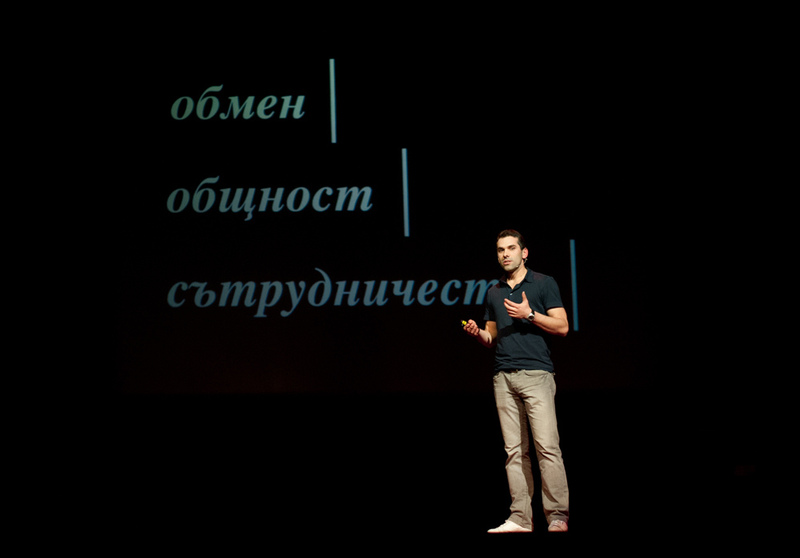 It was an honor to be allowed to speak about such an important social phenomenon on behalf of the betahaus | network. I am very thankful to the organizers for inviting us, my co-founder for giving me the stage and for all the positive feedback. Now, six months after TEDxBG 2012, the mark in center of that gaping hole on the coworking map is set. Right here in Sofia.